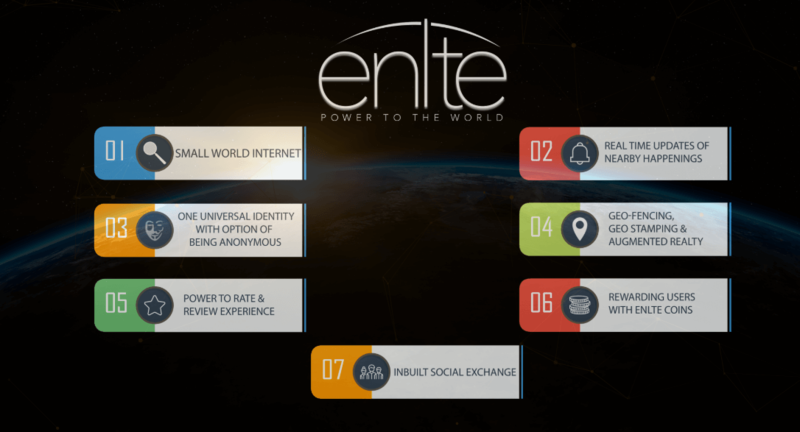 Enlte – POWER TO THE PEOPLE! Internet has become powerful and have been accepted by a growing number of percentage of people. Internet has brought people together and have connected them worldwide. However, we as physical beings are connected to world around us. A world which we can physically connect and be physically available to. Internet has connected us virtually but we still lack physical awareness. Thus we are not aware of our surroundings and can not participate in making it better. However internet have provided us millions of use cases but we still lack a internet based social system to receive alerts and updates of nearby happenings based on positive or negative. Millions of cases are pending in the court and there is no way to resolve it. A centralised organisation or government face several issues while handling millions of cases or request from people to resolve their problem. The process is slow, not decentralised and involve a lot of hassle and energy. Also it is impossible to report anything anonymously and 99% of the people do not want to use their identity while reporting anything. We propose a location-based small world social internet with the characteristics of providing more intelligent queries, connections and better results. Giving one universal identity of user with power of being anonymous. Using the power to rating an experience to develop a database of a universal reputation system based on blockchain with hierarchy of Maple Roots. Giving an opportunity to the users to rate their experiences, problems and broadcast it to the people nearby as well as geostamp & geo-fencing it forever. Other users, organisations can help resolve the issue or bad experience or we will be able to spread awareness to help other people from similar experience. Decentralising the power to the people by motivating users to help each other and spread awareness and earn Enlte coins in exchange of that. Social Internet the 2nd dimension of internet. The Internet is diversifying with time. According to a report, Internet hosted more than 1.5 billion websites in the year of 2017. The Internet is the largest network platform. Finding any information on the internet is very easy but finding accurate and trustworthy information is very difficult. Information can be easily manipulated and circulated. The internet still operates in 1 dimension i.e. ( keywords) for any particular search. You have to write a proper keyword for the particular search you want which is not possible for every section of people around the world. A socionet is a term proposed for an internet of computers with social characteristics. Socio-net is a network of computers with characteristics of location based small world network and social communication. It is fast, better and has amazing networking capabilities. Social internet is the future. Social internet helps in better trust management in the network and for internet of things. A platform with networking capabilities beyond the first dimension can change how the world operates. The location-based small world network & socionet can connect us physically with each other. Solving problem of random networks. We as a physical beings have no knowledge and awareness of what is going around us. We are not aware of our neighbourhood but want to know what is going across the world. A idiom “nearer the church, farther from god” proves our current state in our social life. Technology should bring us together not far away from each other. A human brain is the best example of a small world network. We propose an adjustable small world network with some super networking capabilities. 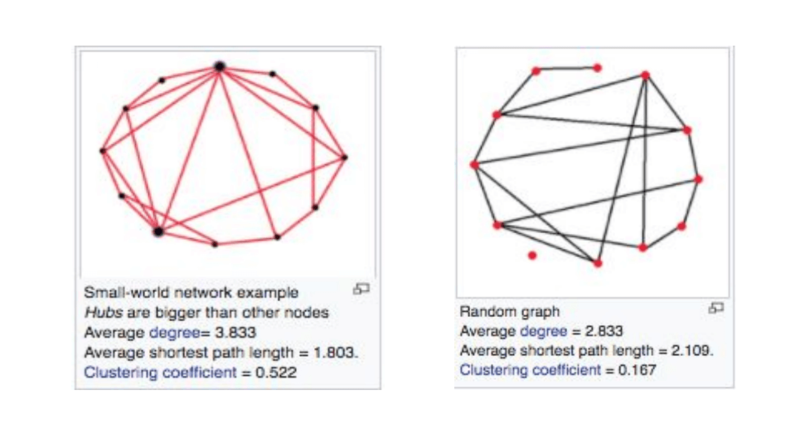 We use a modified version of Watts and Strogatz’s 1998 model with each node connected to a z number of its closest nodes (Fig). There exists a probability p that each edge in a graph will be rewired, with one edge being randomly selected and reconnected to a new node. We propose a modified version of SWN based on location. A Location based SWN increase the quality, searches and better results. The Adjustable Location-based SWN can help us change the world from what it is today to what it can be tomorrow. Using Location based social engine as a small world network. A typical search on a location based small world network would be x times faster, x times accurate and related to the physical environment around you. A Location Based Small world network brings you closer to the physical world and opens a new dimension of connecting physical word to internet accurately and using the properties of this type of network to provide more accurate search results , better search quality and help user to connect with what it is about. Reviews and Ratings have been widely accepted and in 2017 almost 91% of the people would refer to online reviews before buying or considering anything. We use the power of ratings to measure each and every experience. As a decentralised governance system we need to know how and what each node or user of network feel and experience. So that we can capture that and help other nodes or users to learn from it and keep the record to improve and learn from it. We define each and every rating as an experience. Each experience is posted on the blockchain by digitally signing the hash of the previous experience along with the timestamp of the last experience posted on the platform. Experiences are grouped and categorised on location, text, date, time and several other metrics. Each and every experience is not only posted on the location but it affect the overall hash and overall rating of all the higher hierarchy. Such as a user rating a shopping store in Town A will affect City -> State -> Country -> Continent -> Today’s date -> Exact Time hashes. One rating will affect the rating of everything associated with it by giving power to each and every rating and experience. SHA hashes of all of blocks will be signed with the previous block along with timestamp. All hashes will be signed with the maples root of the highest hierarchy i.e exact time in this block. We create automatic hashes of State, Country, Continent , Time, Date and are available to review for each and every user. 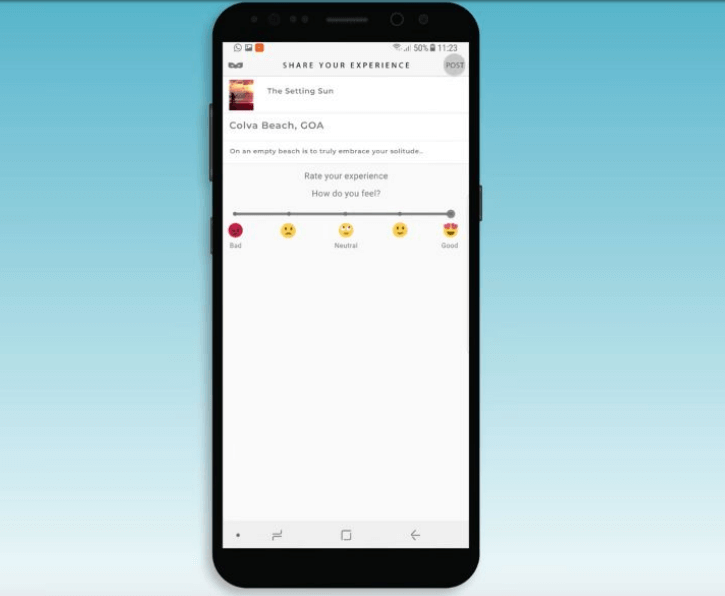 We give power to the user to not only see and record what is happening around us but also take action against what is happening around you by spreading awareness and alerting the users around the location to be aware about the happening. As well as motivating people to help each other. We must be part of the change we are expecting in the world and it has to start somewhere. The Idea ! !It started with a problem to find a way to empower people and give power to users. Out of hundreds of ways developed by the govt, business owners, societies to resolve consumer complaints, none seems to be working.People have no power to resolve any issue without resolving through a central govt or a central authority. Finished the first MVP of the project "enlte"We received more than 40,000 complaints registered within 2 weeks over phone and website. Blockchain Protocol tested with success, further development to make it fast.Along with AR first test. Alpha Launch of Android App and Enlte BlockchainClosed alpha launch. KYC process started for the app users.Each and every user will have to go through the process of KYC verification. Pages Claim process started.Anyone can claim business, location or any pages on the app. Internal Exchange Launched where you can buy or sell enlte. Millions of lives changed, helped billions of lives, more than 100,000 heros helping the world. Crime rate and awareness level increased 1000%. Approaching 100 Million people. More than 1 Billion users.